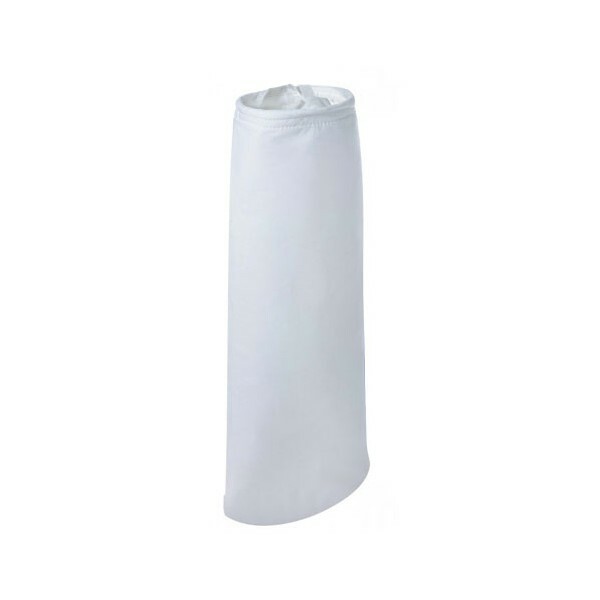 Welded construction filter bags have the fabric fused together to form the bag and secure the sealing ring. Modern fabric welding technology provides a strong seal that won t leak or come apart in the flow. Felt material offers particle filtration by a depth process. Particles largerthan the felt openings are trapped against the surface as particles that aresmaller are forced into the material and trapped by the fibrous web. Thisthree-dimensional media filtration is effective at removing both solid andgelatinous particles and is available in silicone-free polypropylene and polyestermaterials. Bags are available in 1 to 100 and 200 microns. Needled Felt Structure, Silicone free media, suitable for lower viscosity fluid, stable filtration with high-flow velocity, no chemical or fiber release, rated to 200F, chemical resistance: water, aromatics, weak acids, and alkali.